Eric Carle needs no introduction for any one who teaches at an elementary school. His children's books are loved by kids all over the world. Even at third grade, students love the illustrations and stories in his books. For this projects, third graders watch a great video narrated by Eric Carle himself discussing his writing process and his illustration style. 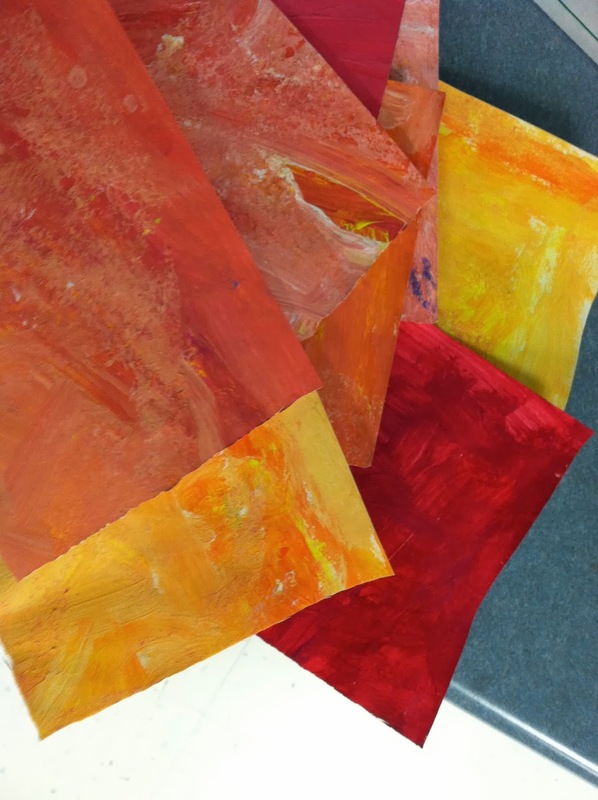 We then painted paper to music to create a variety of colorful papers to chose from. Look at those gorgeous pages!! 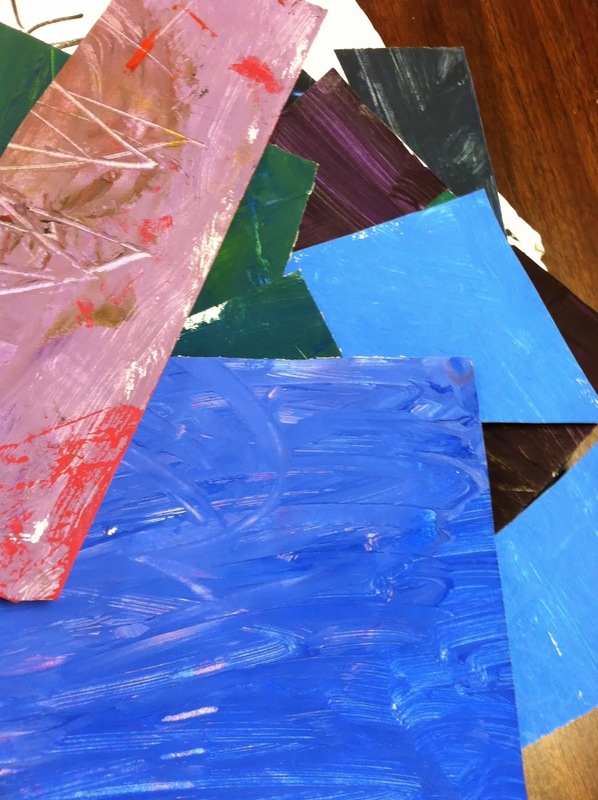 After the painting process, the students cut and glued their shapes to create themed illustrations. Mrs. Nelson's class here created an insect theme. Other themes we've done include forests, jungles, African safari, farm animals, and flower gardens. The paper is so beautiful, even our recycle bin looks good!